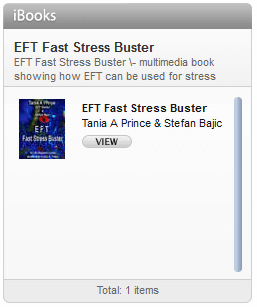 The contributor for this is Anne Yates EFT Advanced Practitioner. Anne tells her story about how she discovered EFT through her quest to overcome severe panic attacks which began shortly after her father died. Follow this link to read her story. Interesting exercise we did at a recent EFT Level 3 course involved stepping into the client’s shoes and basically seeing the world through their eyes, from their perspective. How is this useful when doing EFT? Well, clients don’t always state their issues clearly. It is a big advantage if the therapist can be intuitive. Stepping into the client’s perspective helps intuition. Trainees were surprised at just how much they were able to pick up intuitively during such a brief exercise. Another good reason to see through the client’s eyes and from their perspective is when you go back to early events that have happened in the client’s life. It often helps to use the language a young child would have used such as, daddy doesn’t love me anymore”. a) People often make an assumption that just because they don’t feel any obvious emotions when they think about an event it mustn’t be bothering them. This is often an erroneous assumption. b) Tracing the feelings back to the original core events is an incredibly fast way to deal with a problem. How do you do this? Basically get the feelings by thinking about the current issue, then whilst tapping put your attention on the feeling and allow your mind to back to the very first time you ever felt that feeling. c) People often dismiss highly relevant information because it doesn’t seem a big enough event to have caused the current problem, however if it popped into your mind whilst tapping on your issue it is highly likely that it is connected to your current issue and needs to be cleared. Also bare in mind that many issues stem from childhood and what can be highly emotive for a child may not seem so to the adult self viewing it. What is important is the emotion that occurred at the time. 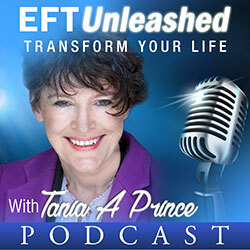 EFT is commonly used to tap out a problem situation, however it can just as easily be used to raise the vibration energy and basically tap in a good feeling. This has massive possibilities. Take each one individually and tap through from karate point to the underarm position (for those unfamiliar with EFT, click on the EFT to find the tapping points) and just tap on your brainstormed words. using one or two words on each point. You might even close your eyes and tap and focus on the experience. 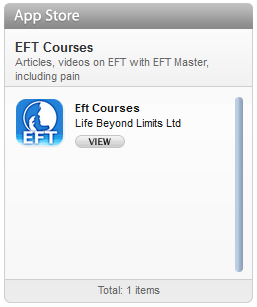 Although a brilliant self help use of EFT it is also incredibly useful if dealing with addictions as part of a larger body of work.